The developer who planned to build the nation's tallest skyscraper has lost control of the land. 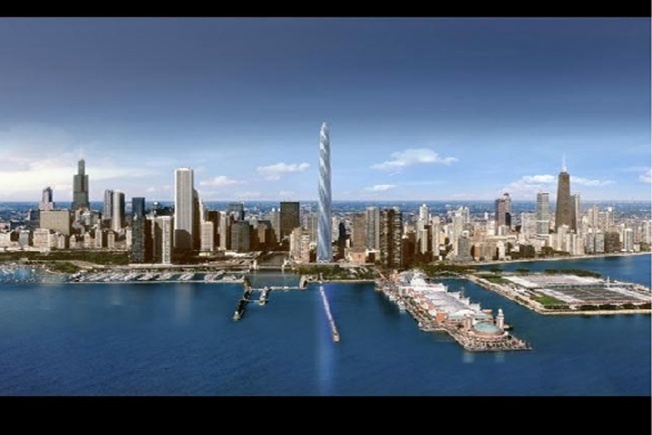 A Cook County Circuit Court Judge on Wednesday appointed a receiver for the site of the proposed Chicago Spire one day after the developer lost control of the land. An executive with CB Richard Ellis was named receiver on the property, who granted a request from the project's largest lender, Anglo Irish Bank Corp, Reuter's reported. Irish developer Garrett Kelleher's company lost control of the site Tuesday. The 2,000-foot-tall Chicago Spire, designed by Spanish architect Santiago Calatrava, would have been the tallest building in North America, but it fell victim to the economic downturn. Two Chicago-area firms have purchased the delinquent property taxes on the site.